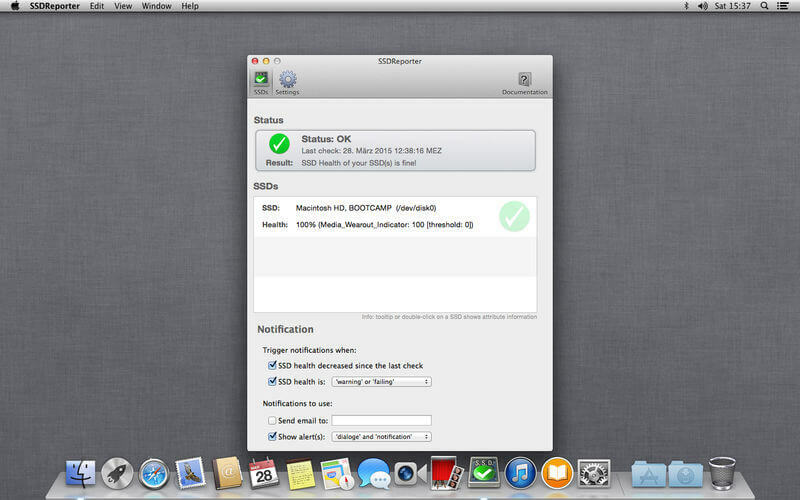 SSDReporter is an application that checks the health of your internal solid state drives ("SSD" aka "Flash Storage"). Since SSDs have a limited life-time determined by the number of write operations, it is important to keep an eye on your SSD status. 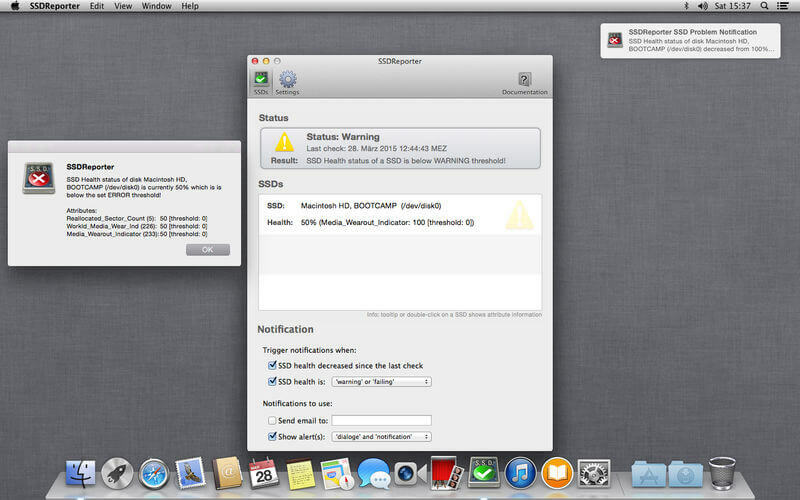 SSDReporter can warn you by e-mail or on-screen each time the health of your SSD decreases and/or when the health falls below the 'warning' or 'error' thresholds. The current status of your SSDs is also always easily recognizable because SSDReporter changes its icon (optionally in the menubar) from green to yellow (warning threshold) and finally red (error threshold) as the SSD health decreases. 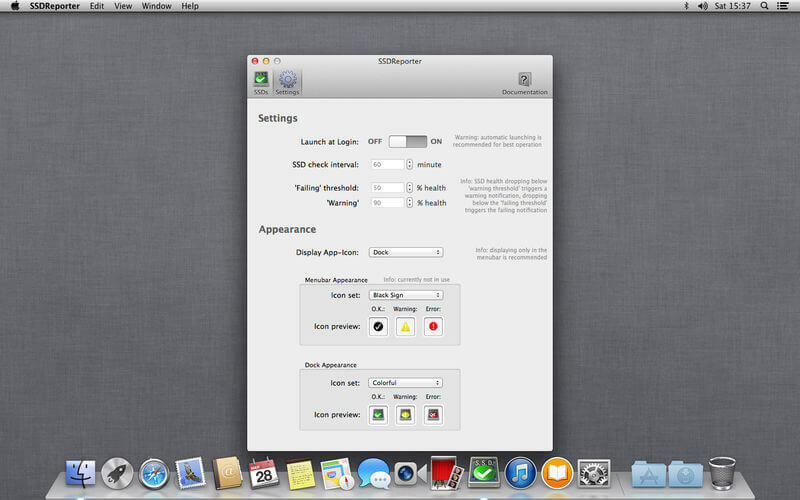 Note that only 'internal' SSDs are supported, disks connected via USB/FireWire/Thunderbolt/etc do not work with SSDReporter.